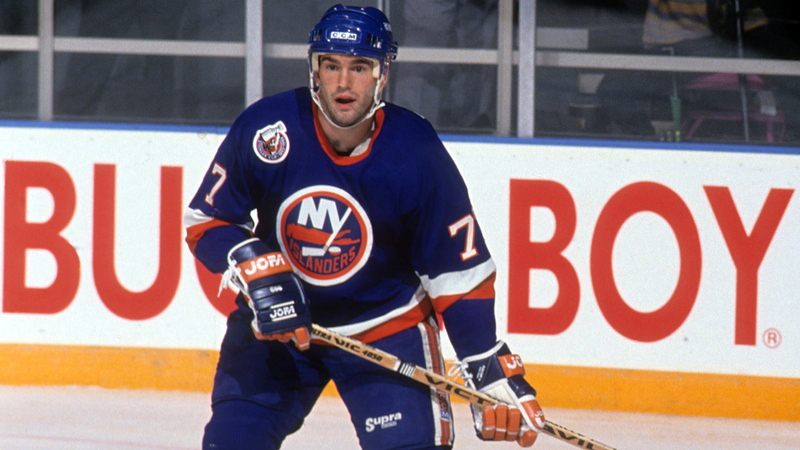 The hockey world and the New York Islanders family is mourning the loss of Bill Torrey. Torrey, passed away last night at the age of 83 at his home in Florida. Referred to as “The Architect”, Torrey was the Islanders first president and general manager and was with the organization for 20 seasons until 1992-93. During those 20 years, Torrey had many memorable moments and turned the Isles from a lonely expansion franchise into one of the most successful in not only hockey but North American sports. 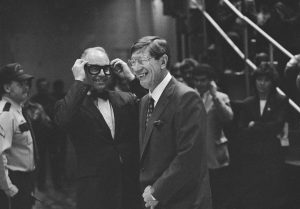 Bow-Tie Bill was recognized for his excellence in the game in 1983 with the Lester Patrick Award and in 1995 when he was inducted into the Builder’s category of the Hockey Hall of Fame. 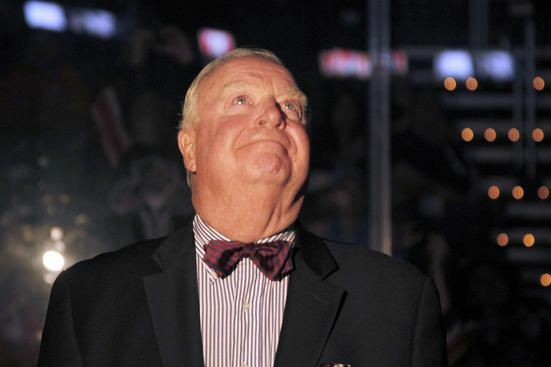 On January 13, 2001, the Islanders honored Torrey’s contributions to the franchise with a banner that still sits in the rafters, with the words Torrey, The Architect in quotes, and his famous bowtie. As we remember and mourn the loss of one of the most important people in franchise history, our Rob Taub counts down his most influential moments. R.I.P. Architect. You’ll be deeply missed. The first piece of the formation of the dynasty that was to come. After finishing with the worst record of the league in their first year of existence, Torrey and the Islanders had the number one pick in the 1973 Entry Draft. There was a surefire 18-year old from Vanier, Ontario named Denis Potvin that was the best player on the board, and right there for Torrey’s pickings. The day before the draft, then Montreal Canadiens GM Sam Pollock tried everything in his power to get Torrey to accept a trade offer that would have sent Potvin to Montreal. Torrey and Pollock walked around a Montreal hotel ten times having discussion after discussion. But Torrey stood firm on his belief that Potvin was going to be a long-term asset for his franchise, denying Pollock’s request for a trade. This was just the first of The Architect’s savvy decisions. Potvin would turn in to one of the best defensemen the game had ever seen, and a bonafide Hall of Famer. He was the Isles captain for eight seasons, led the team to four Stanley Cup championships, won the Norris Trophy three times (1976, 1978, 1979), and would play over 1.060 games in an Islanders uniform. 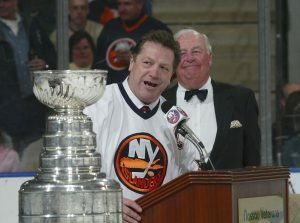 Drafting Denis Potvin was not only a feather in Torrey’s cap, but it put the Islanders on the map and established that the franchise was on the rise. After struggling in their first season with Phil Goyette and Earl Ingerfield at the helm, Bow-Tie Bill realized he needed to find his general behind the bench that would change the organization. He found that in 41-year old Al Arbour. Torrey brought Arbour to one of Long Island’s most famous places, Cold Spring Harbor. And after that, Arbour was hooked, giving the Islanders their man behind the bench that 46 years later, is still the greatest coach in franchise history. 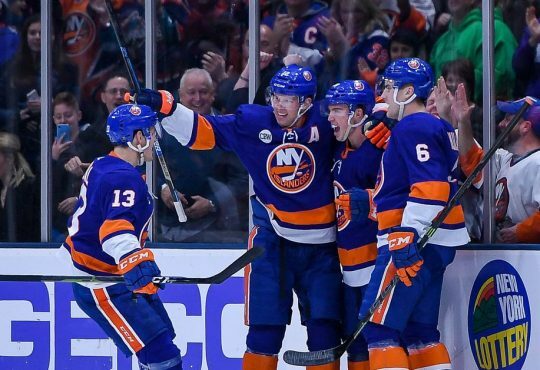 In his first season as the team’s bench boss, the Isles finished in dead last once again. But the foundation was there and collaborating together, Torrey and Arbour just a year later, had already assembled a winner. Under Arbour’s tutelage, the Islanders would make the playoffs in 1975, just their third year in existence. They would upset their crosstown rival the New York Rangers, and secure one of the greatest comebacks in sports history, coming back down from 3-0 against the Pittsburgh Penguins. Over the next 15 years, the Islanders would become the gold standard with Arbour behind the bench. He coached the team to 12 straight years with a playoff appearance, four Stanley Cups, and 19 straight playoff series wins. Arbour’s 20 seasons were the most of any coach in team history and his 1500 games, and 740 wins, will never be touched. Hiring Radar was another piece to the long-term puzzle that led the Isles to ultimate success and commanding respect from around the league. As the Islanders continued to build into a contender, Torrey knew the team still needed a few more pieces. One of them was a young man from Montreal, named Michael Dean Bossy. Torrey was aware that there was a possibility that Bossy could fall into his lap, along with another talented prospect, Dwight Foster. After being passed up by 12 teams, Torrey made the difficult call selecting Bossy at 15th overall over Foster. Persuaded by Al Arbour, it will go down as Torrey’s wisest move in his time with the franchise. Known to be a scorer and not a checker, Bossy was quickly put on a line with Bryan Trottier and Clark Gillies, forming the famed “The Trio Grande”. 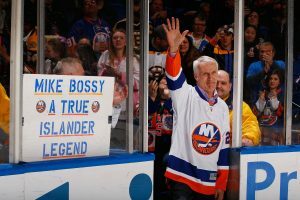 Bossy would quickly emerge as a superstar for the Islanders winning the Calder Trophy in his rookie season with a record 53 goals. Foster on the other hand, never came close to what Bossy would become, recording just 274 points in 541 NHL games. Bossy became one of most prolific goals scorers not only in Isles history but of his generation. Nine 50+goal seasons, five 60+ goal seasons, a key contributor to the dynasty years, and a Hockey Hall of Famer to boot, Bossy has gone down as one of the top 100 players in the history of the game. Torrey deciding to make the hard decision to draft Bossy altered the franchise in ways not even he thought was possible. 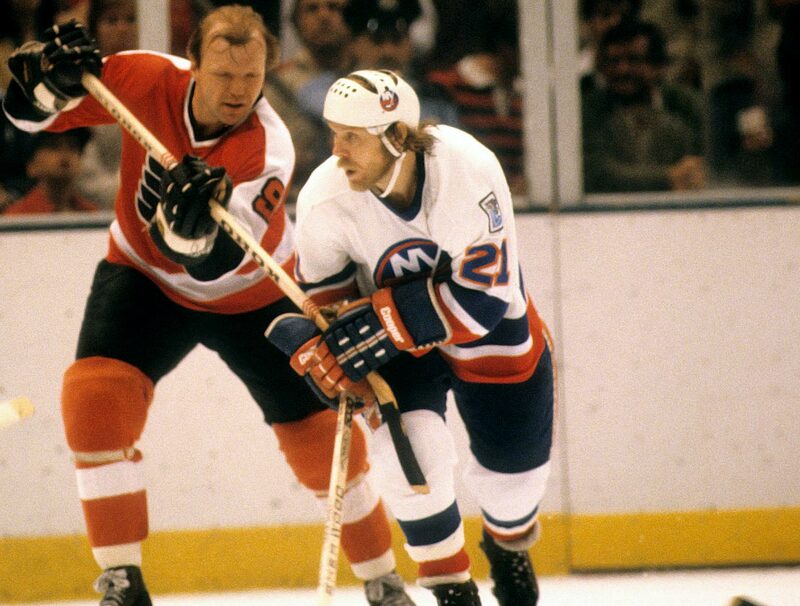 From 1975 to 1979, Torrey had assembled a world-class group that was fighting for the Stanley Cup each season. But the Islanders still couldn’t get over the proverbial hump. After being upset in the Conference Semifinals against the hated Rangers in 79′ and finishing under 100 points for the first time in five years in 79-80, Torrey made a major shakeup that was and is the biggest in the history of the team. Before the start of the postseason, Torrey shockingly traded longtime Islander Billy Harris and defensemen Dave Lewis to the Los Angeles Kings for center Butch Goring. As in the title, Goring was “the final piece to the puzzle”. 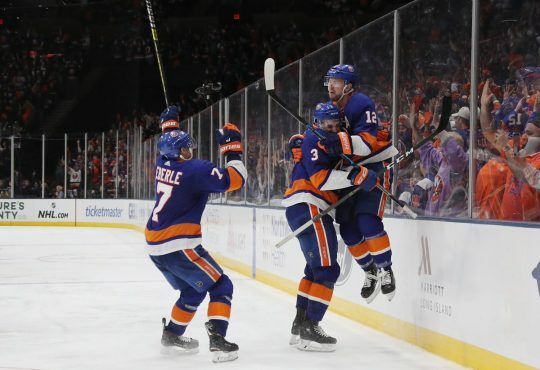 Goring would total 19 points in 21 playoff games that spring and help the Isles win the first of their four straight Stanley Cups. 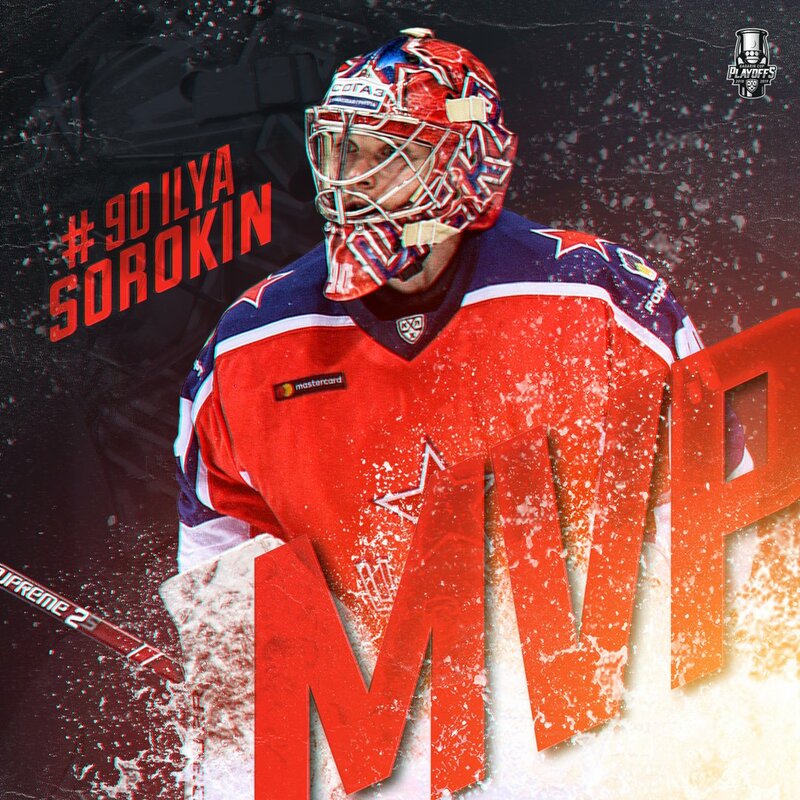 One season later, Goring improved even more and won the Conn Smythe that spring on the way to the team’s second straight Cup. Goring became a fixture on the team during the dynasty years. Even after leaving the Isles in 1985, the contributions that Goring brought to in that run will never be replicated. Torrey bringing in Goring set the course for one of hockey’s most historic runs. The Islanders as a franchise are not who they are today without that fateful move. If there’s one thing to realize about Bill Torrey, it was he wasn’t afraid to make boisterous moves. In 1981, in the midst of the dynasty, he made a shrewd move trading two of his good players to Colorado for the number one pick in 1983. Little would know, that pick would end up being stud youngster, Pat LaFontaine. LaFontaine came at the near end of the dynasty and signaled that the times were changing on Long Island. He would help the Islanders reach the Cup Final again (losing to Edmonton in five), and after that, he became a superstar. LaFontaine helped the Isles maintain success in the late 80’s while scoring between 80 and 100 points each year. 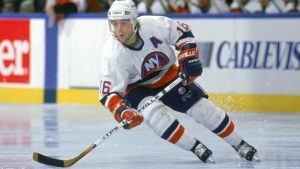 The trade for LaFontaine proved that Torrey was already looking ahead towards the future, just as he did when picked Denis Potvin first overall a decade earlier. 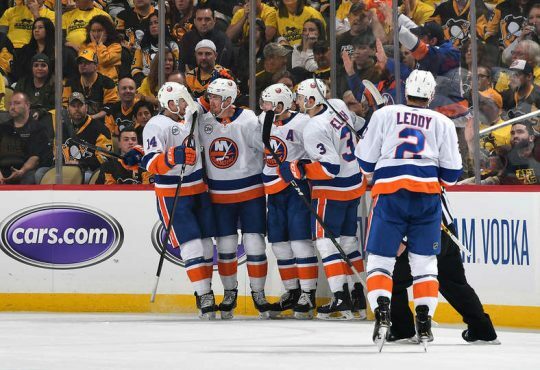 Torrey wanted to maintain the success the Islanders that had been established. LaFontaine didn’t end his career on Long Island, but Torrey’s move to pick him still sits right up there with some of his best. A year into the newest decade, it wasn’t seen yet, but Bill Torrey’s time on the Island was nearing its end. Torrey still had that fire to make the best moves for his organization, and before the start of the 1991-92 season, Torrey made sure that it was not going to be a repeat of the year prior. The Architect traded long-time fan favorite Pat LaFontaine (contract dispute), Randy Wood, Randy Hiller, and futures to the Buffalo Sabres for Pierre Turgeon, Benoit Hogue, Uwe Krupp, and Dave McLlwain. The trades came as a shock, as did the Goring trade almost a decade earlier. But they were necessary and just a short time later paid dividends. 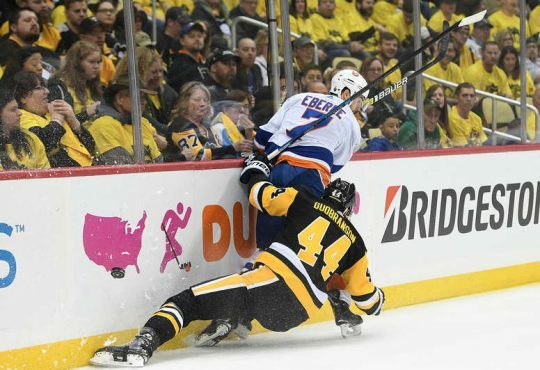 With that new core Torrey acquired, the Isles found themselves back in the postseason and upset the back-to-back champs, the Pittsburgh Penguins in the 1992-93 playoffs. They would make the playoffs the following year after before the dark ages of the late 90’s set in for the franchise. Torrey, again trying to shift the organization with this blockbuster, proved that he hadn’t lost his touch. It was one of his last moves in his tenure, but it had the same impact as his sharp moves from years past. Bill Torrey will go down as one of best general managers in the history of the game and will be remembered as one of the game’s finest gentlemen.